on this page you can find information and links about the ICT demonstrator on SimSketch at the EARLI 2013 conference. 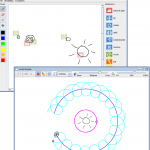 SimSketch works best when used together with a pen-based input device, like a tablet PC or a Bamboo tablet. 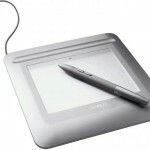 To use a Bamboo during the demonstration, please install the driver by downloading it from the Wacom website, launching it and following the instructions. To run SimSketch, you need to have Java 6 (or higher) installed on your computer. To start it, simply click the link below. If you want to have SimSketch available offline on your computer, you can do the following after you started it once: Go to your computer’s Control Panel and choose Java. On the “General” tab, click “View…” in the section “Temporary Internet Files”. There, choose SimSketch from the list and right-click or choose “Install Shortcuts” from the toolbar. You will have a shortcut for SimSketch now on your desktop.